Mary: Thank you so much for your hard work. I hope your writers will remember that in 2006 we will be holding very important elections in the State of Florida. A new Governor and Cabinet as well as several House and Senate members. Several of these candidates have started exploratory committees, or have already opened their campaigns to run for a particular office. An Election Year can prove to be very valuable during this type of protest with a project that will alter our green space and quality of life forever. If your members are looking for people to write to so we can make everyone more aware of what is happening in Cape Coral, the following members of the Governor's Cabinet should be on the mailing list. Our Chief Financial Officer has opened his campaign for Governor and was just here in this area. opportunity to run for State Attorney General. He is home for the summer so great time for contact. 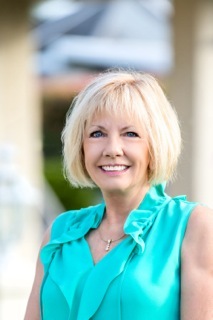 Other information: Dr. Elinor Screika, the Chairwoman of the Lee County School Board is the guest speaker tomorrow evening at the Cape Coral Rep. Club. They meet at The Association of Realtors building at club Square on 47th Terrace,by the Bingo Hall and The Elks Club. During questions, someone can ask her about comments made later in the meeting tonight about keeping their interest in the Golf Course. I hope this information is of help as you and the residents continue to work passionately to save The Golf Club.